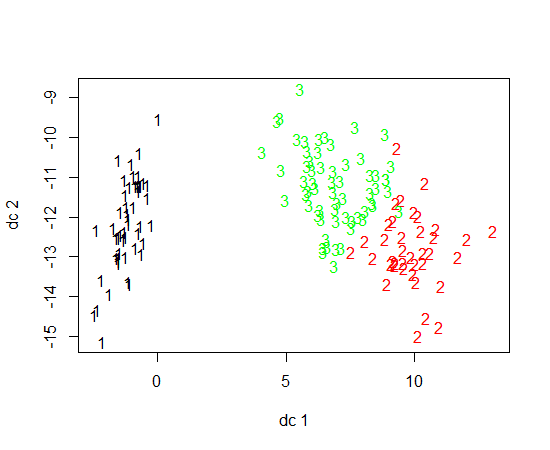 How to produce a pretty plot of the results of k-means cluster analysis? What is a pretty way to plot the results of K-means? Are there any existing implementations? Does having 14 variables complicate plotting the results? I found something called GGcluster which looks cool but it is still in development. I also read something about sammon mapping, but didn't understand it very well. Would this be a good option? I'd push the silhouette plot for this, because it's unlikely that you'll get much actionable information from pair plots when the number of dimension is 14. This approach is highly cited and well known (see here for an explanation). Rousseeuw, P.J. (1987) Silhouettes: A graphical aid to the interpretation and validation of cluster analysis. J. Comput. Appl. Math., 20, 53-65. 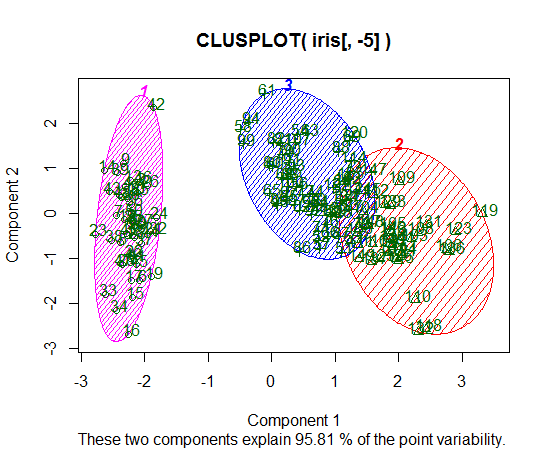 Based on the latter plot you could decide which of your initial variables to plot. 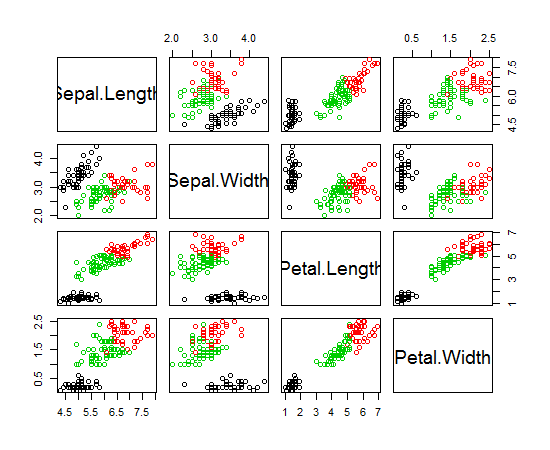 Maybe 14 variables are huge, so you can try a principal component analysis (PCA) before and then use the first two or three components from the PCA to perform the cluster analysis. In this way you can draw the points of each cluster using a different color and their centroids. Not the answer you're looking for? Browse other questions tagged data-visualization classification k-means unsupervised-learning or ask your own question. What is standard error used for? R module for creating plots of prototypical individuals from fitted models? How can I understand and visualize the distribution implied by a series of sieves?